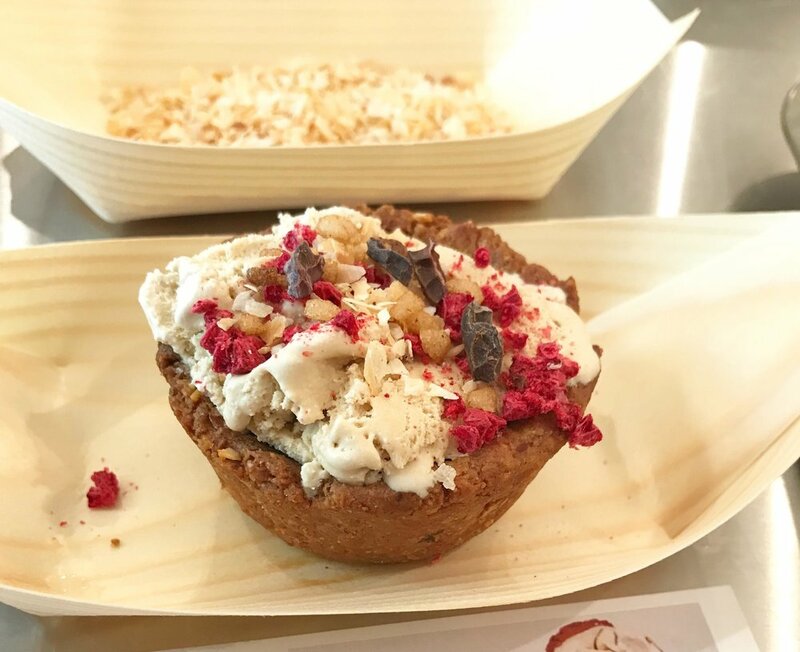 On Tuesday I held a vegan, plant-based masterclass in collaboration with COYO, and I have to say, it may have been my favourite Caker event to-date. I'm not vegan myself but I am a huge advocate for baking with plant-based ingredients like coconut yogurt, ground almonds, nut butters and fresh fruit, which often times make recipes taste better than their non-vegan counterparts. (Don't get me wrong though, butter will always be my #1). 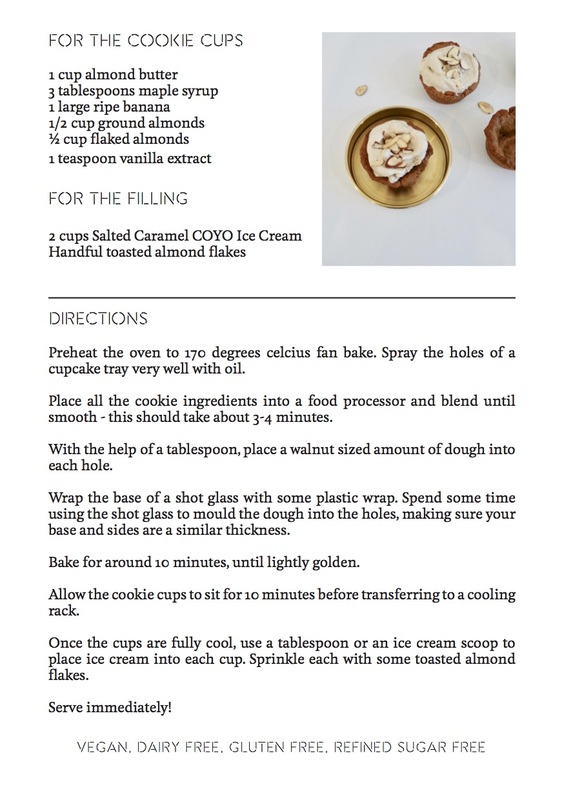 As well as demonstrating how to make an Apple, Rhubarb and Cardamom Cake with COYO Vanilla bean Yogurt, I shared a recipe for my new favourite dessert - Banana and Almond Butter Cookie Cups with Salted Caramel COYO Ice cream. They're completely vegan, gluten free, refined sugar-free, while still remaining decadently creamy and moreish.